Teenagers from two regions in Hammanskraal who play in the same orchestra received 4 days of fun but intensive training to become peer educators. The training was presented by the Chabahiva Trust in co-operation with the Fieldband Foundation. 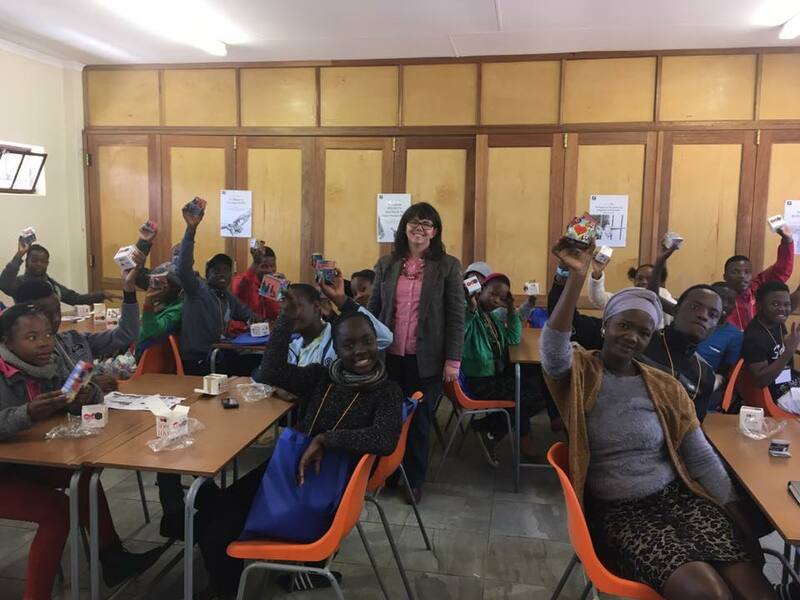 Wanda Olivier contacted Building Hope Foundation in June about the HIV/AIDS Cubes which are used in their peer educator programme. With the aid of donations from donors, Building Hope was able to provide 25 subsidized cubes to the trust. 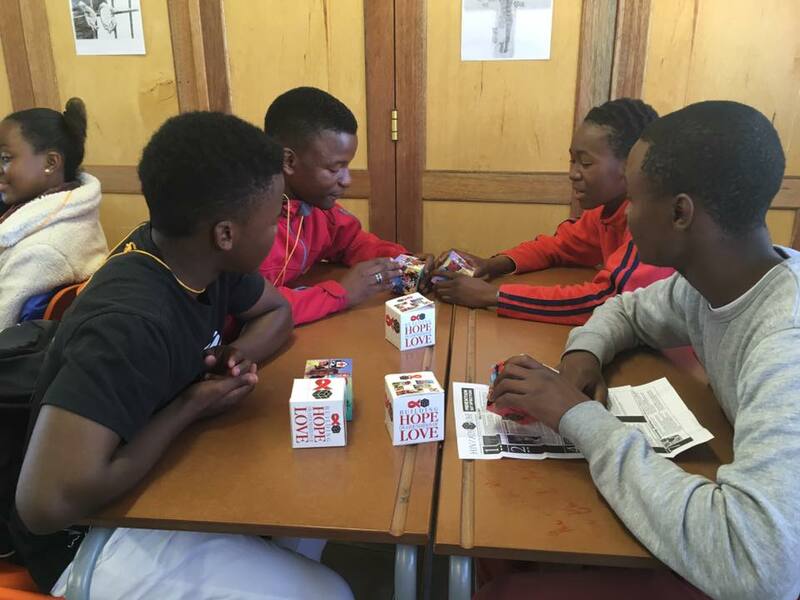 Elzaan conducted the training in the Cube on 18 July 2017 at the Lethamaga Secondary School in Hammanskraal. The teens had very interesting and open questions. 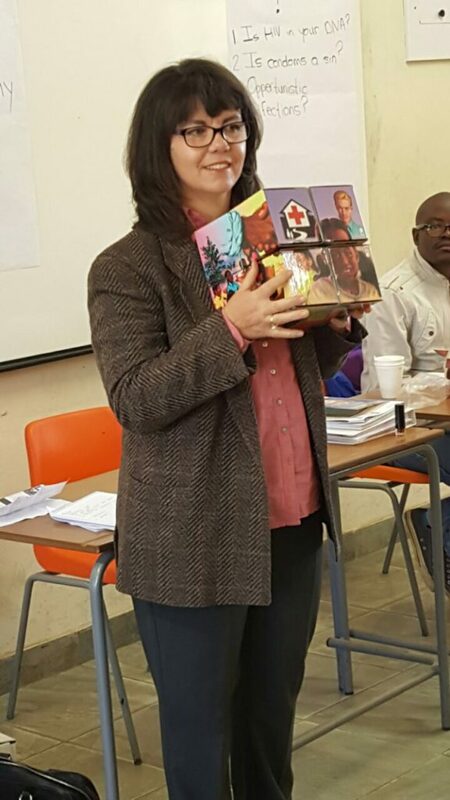 It was clear from the beginning that the cube was beneficial in overcoming fears, correct facts and promoted communication in HIV. The cube also formed the basis of some of the content which Wanda and Vuvu would continue to share for the remained of the course. 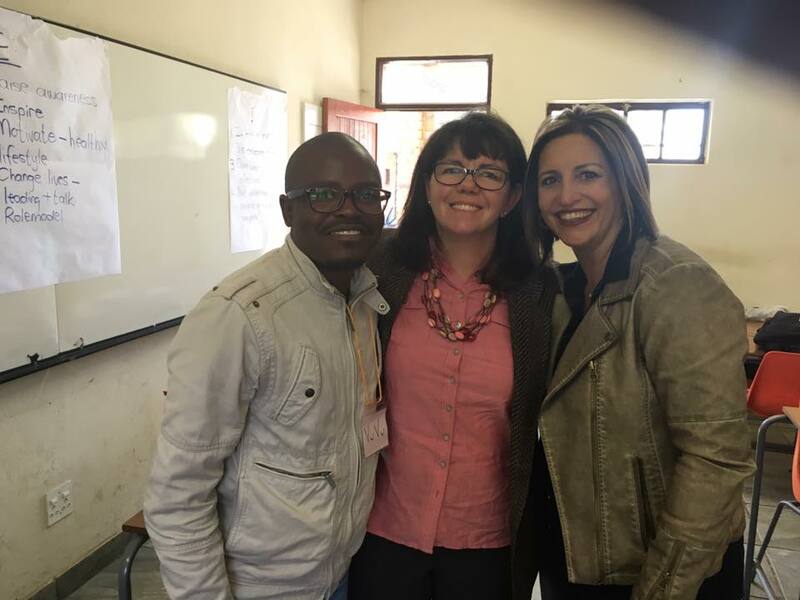 Wanda, Vuvu and Elzaan are trained CABSA Churches Channels of Hope Facilitators. Elzaan presenting the importance of knowing your status. 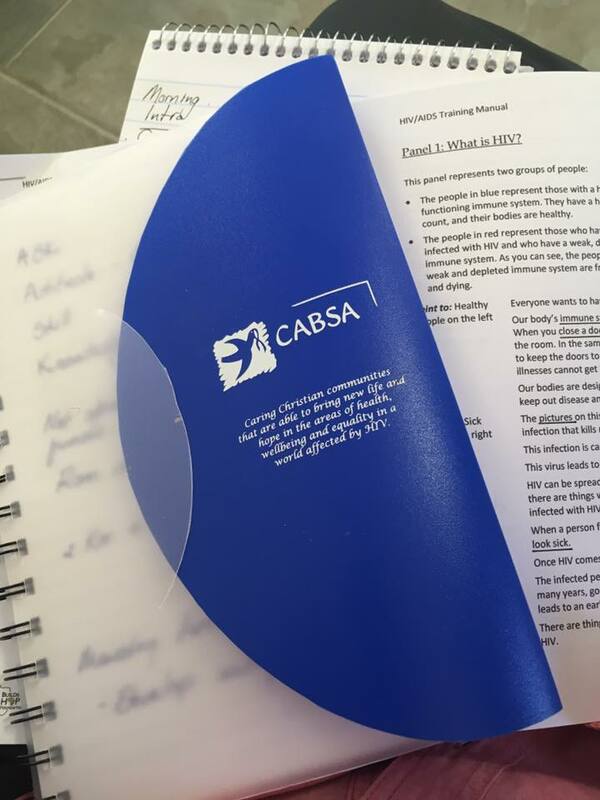 Each fascilitator has to complete a report to CABSA each year - we received this lovely notebook from CABSA and I have already filled it with lots of HIV related notes. Teens had to conduct role-play in order to ensure they understand the content of each image and practised with their friends on how to share. This entry was posted in Feedback, HIV and tagged CABSA, Chabahiva Trust, Elzaan de Villiers, Field Band Foundation, HIV aids cube, HIV training, Wanda Olivier. Bookmark the permalink.